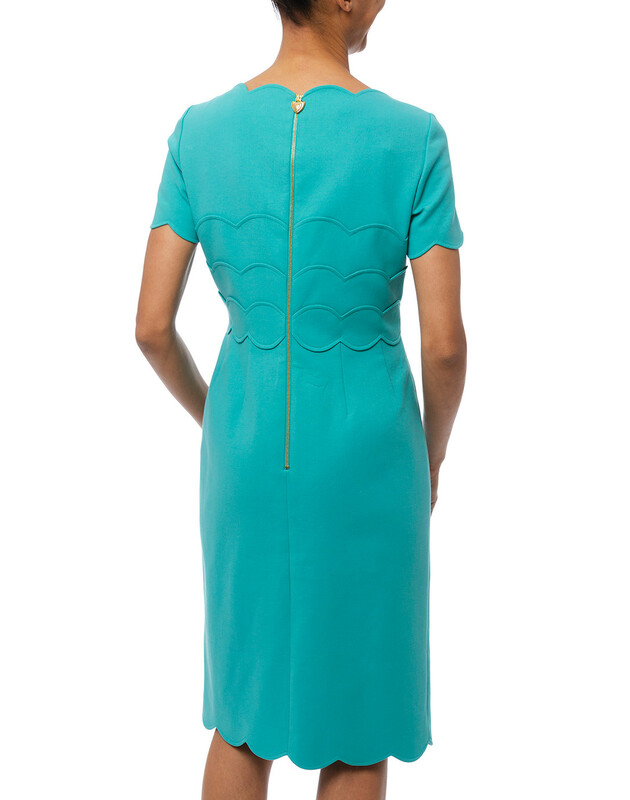 Scallop trimmed edges bring feminine flair to Escada's Demmia aqua dress. 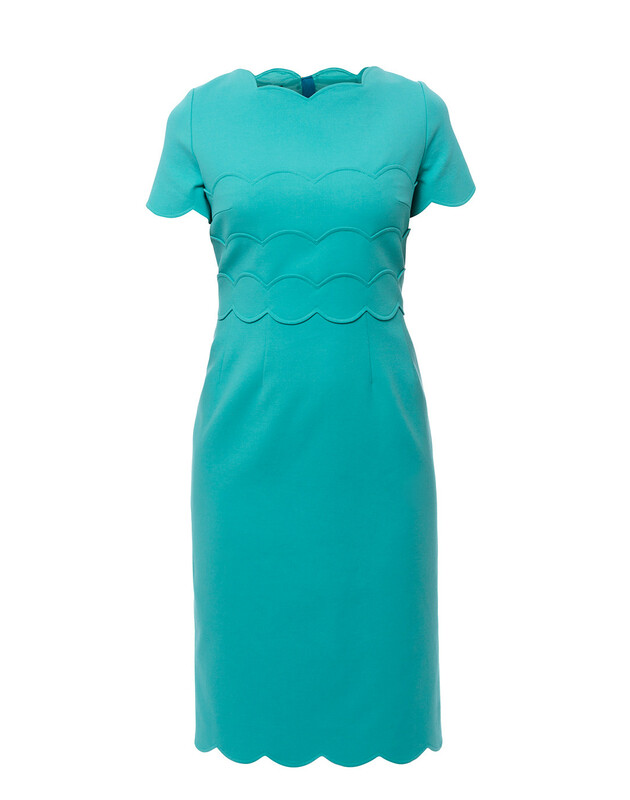 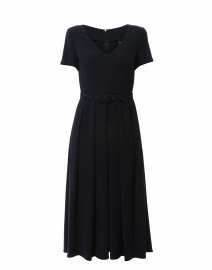 The dress is crafted from stretch cotton blend has a scalloped neckline and hem and sleeves. 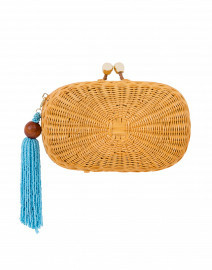 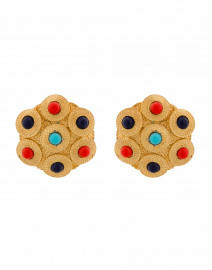 Pair it with statement accessories for a chic evening look. 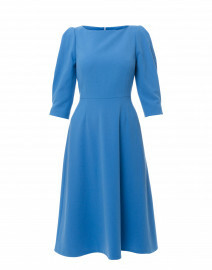 Length 39" 40" 40" 40.5" 41"
Shoulder Width 14" 14.5" 15" 15.5" 16"
Bust 38" 39" 40" 41" 42"
Sleeve Length 8" 8" 8" 9" 9"